“This could be potentially very dangerous. 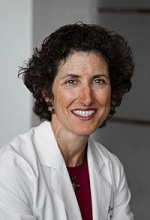 Many Americans – patients and even physicians – are not aware of how many devices in this country are on the market without having clinical data of safety and effectiveness,” Dr. Rita F Redberg said. A University of California, San Francisco (UCSF)-led commentary is calling attention to a little-known regulatory loophole that allows unsafe and untested medical devices to reach the marketplace and harm patients. UCSF and the Australian Joint Registry published recently a perspective that reveals the complex history of how metal-on-metal hip implants reached the marketplace. The implants are categorized by the U.S. Food and Drug Administration (FDA) as high-risk surgical devices, yet have been allowed into the marketplace without first going through clinical trials, where a product is tested to determine its safety and effectiveness. They failed at a dangerously high rate, often requiring reparative surgery at least four times as often as traditional hip replacement surgery. The perspective’s authors are calling for changes in how the FDA approves metal-on-metal hip replacement devices and other high-risk devices for the marketplace. U.S. hospitals perform 48 million medical procedures each year, according to the U.S. Centers for Disease Control and Prevention. Of that number, roughly 676,000 patients undergo total knee replacement surgeries and 327,000 undergo total hip replacement surgeries. While the commentary focuses on metal-on-metal hip implants, Redberg noted that there are many more devices that slip through the same FDA loopholes. “This could be potentially very dangerous. Many Americans – patients and even physicians – are not aware of how many devices in this country are on the market without having clinical data of safety and effectiveness,” she said. Even voluntarily recalled devices can serve as predicates under the 510(k) clearance as long as the FDA did not require their removal from the market or a court did not find they were misbranded or misrepresented in any way. For patients who are in the process of undergoing a medical procedure, Redberg suggests they stay informed and ask many questions. Illustration: University of California, San Francisco.